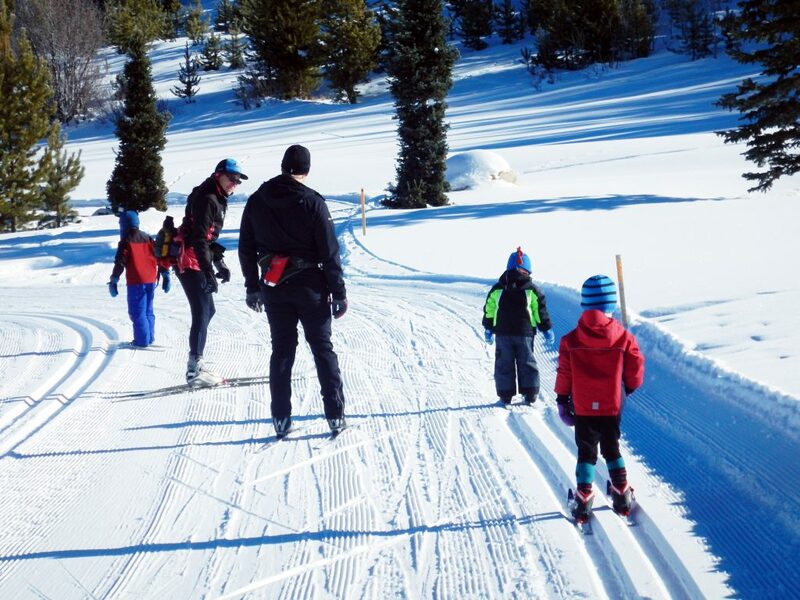 Children head out to one of Grand County’s many stellar cross-country ski trails. Meeting up with fellow trail enthusiasts in Grand County. 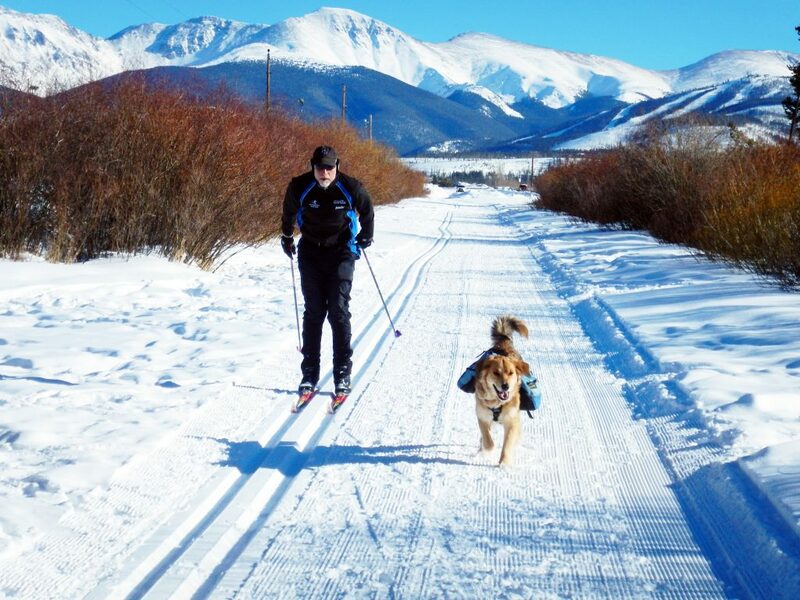 Enjoying a perfect day of Nordic skiing with a canine companion. Crust skiing had such great promise this year. But the temperatures have not been cooperating and the snow is just condensing. There has been crust a couple of cold mornings but not very exciting this year. When the sun comes out and the temps have not gone much below 30 degrees during the night, the snow softens so quickly and you sink. Even packed trails get soft in the afternoons so it’s time to pack it in. Get out early to get your glide on. Remember, the moment passes quickly. 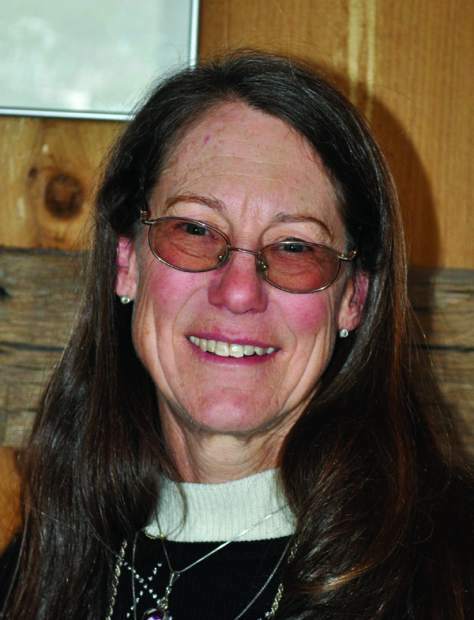 Grand Lake Nordic Center closed last weekend. Granby Ranch as well. Both probably closed with more snow than ever before but thanks to the warm temperatures, the snow becomes somewhat rotten early in the day in the valley areas. Snow Mountain Ranch says this will be their last weekend, but they hardly have any bare spots showing except where the moose and horses have been wreaking havoc. Snow Mountain Ranch is mainly dealing with mud and construction around the Nordic Center, for new Camp Chief Ouray water lines and buildings. Devil’s Thumb has announced April 14 as their closing date, the latest in the valley. Even HTA announced that the longest season of grooming on the Fraser River Trail, Fraser-to-Granby Trail, and all the other areas they groom has come to an end. 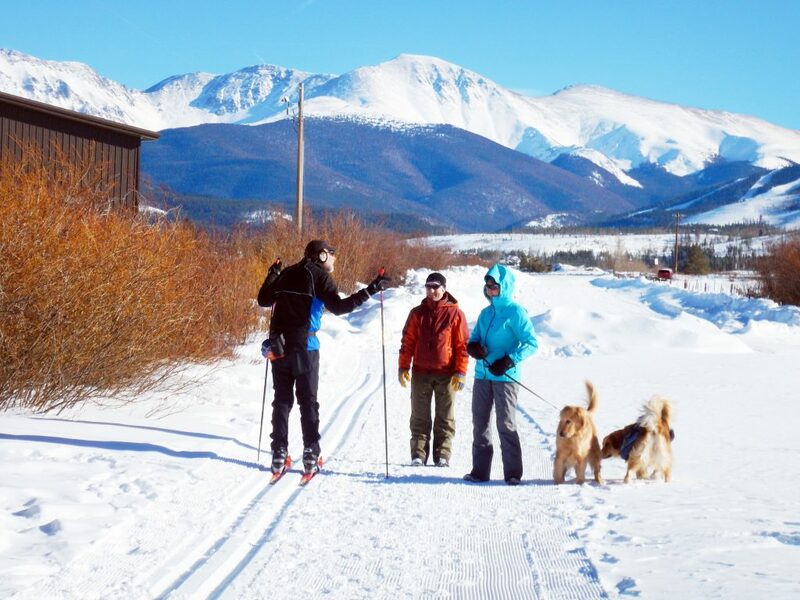 The partnerships that HTA has developed with Mountain States Snowcats, Rendezvous, town of Winter Park, town of Fraser, and Granby Ranch have provided an unequaled array of free local Nordic skiing for Grand County visitors and locals alike. Thanks to all who have maintained these local trails all season. It’s been a season to remember. When we have a cold night, the surface still gives enough support until the warmth of the sun works its magic. Hopefully it will last longer up in higher altitudes as there is plenty of snow. When the crust settles into just snowpack, you get the corn snow, or hero snow as I call it — large granules on top of the firm pack. You often find this corn snow in the summer on patches of snow surviving at altitude. I think we’ll be finding lots of snow into the summer to keep skiing on in the high country as the settling helps stabilize the snowpack and allows travel almost everywhere. Conditions can be rough and heavier back country gear is recommended. Still, always remember to tell someone where you are going and carry extra essentials with you. Nature can be fickle. My snowbanks are receding at a rapid rate but much of the water seems to be soaking in right now. But puddles are forming and creeks are starting to gurgle under the snowbanks. The rivers will flow early and flow strong this year. It is about time to wax up the track skis with summer wax and put them away or take them to the Grand Nordic collection bins in the Grand Park Rec Center, Church of Eternal Hills, or Granby Library so they can be used next season in our kids and youth programs. Dust off the rafts and kayaks and hit the water. It’s going to be a great season!